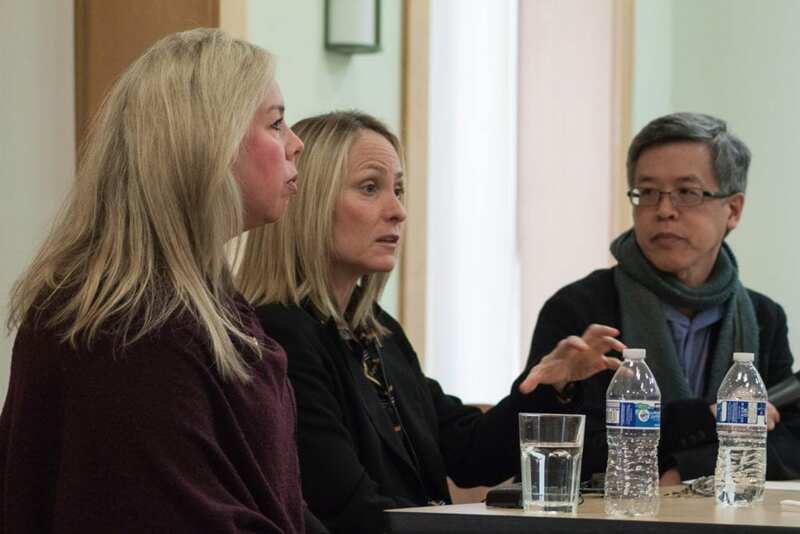 At the January 27 forum, Judge Hollie L. Gallagher and Judge Deena Calabrese spoke about the vital work they do in the Mental Health and Developmental Disabilities (MHDD) Court, part of the Court of Common Pleas of Cuyahoga County. This innovative court, with its network of supportive services, seeks to reduce the overwhelming number of individuals with mental illness entangled within the criminal justice system. Judges engage as problem solvers and collaborators in the therapeutic process. The MHDD Court assists offenders with medication compliance, substance abuse treatment, lack of housing, securing benefits and employment. The forum was moderated by Trinity member Brant Lee, professor of law at the University of Akron.